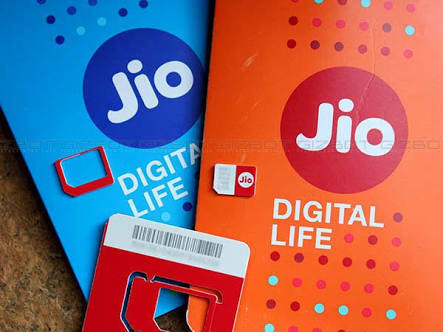 New Delhi : The telecom service provider and operator Bharti Airtel and Reliance Jio has been in a tiff ever since Jio launched its 4G services all across India. One of the major reason for the never ending war between the two players was interconnection points. Bharti Airtel has now provided over 7,000 additional Points of Interconnect (PoIs) to Reliance Jio (Jio), taking the total number of PoIs provided till date to over 17,000. This capacity Airtel says is sufficient to serve over 75 million customers, based on the forecast provided by Jio to Airtel. This will also ensure that the quality of service (QoS) is maintained and the customers are not inconvenienced. CEOs of Telecom operators Airtel, Vodafone, Idea and RJio has had meetings with the Minister of Communication and TRAI Chairman earlier this week on the subject of breach of QOS parameters. However RJio now welcomes the 7007 additional POIs provided by Bharti Airtel. RJIL expects to operationalize the PoIs by the teams of Airtel and RJIL in the coming days. The two operators continue to spar over the issue of PoIs, Airtel says, "Airtel has been providing PoIs to Jio, even before the commencement of Jio’s commercial operations. Following the commercial launch of services by Jio on September 5, 2016, Airtel has released PoIs at a staggering pace, well ahead of its bilateral and regulatory obligations. As a matter of fact the number of PoIs provided by Airtel to Jio is more than 2.5 times the number provided to an existing operator with a comparable subscriber base." Jio one the other hand says that it was only over the govt and regulator intervened that Airtel has provided the adequate PoIs to Jio, "This allocation was long overdue considering the severe hardships caused to the customers of both operators in being able to connect voice calls between the two networks. More than 280 crore calls have failed between RJIL and Airtel over the last three and a half months because of absolute shortage of POI capacity."